There is endless debate about how long marketing content needs to be. Most people fall into the camp that it needs to be short. But conventional wisdom on going short may be wrong. There is evidence that longer form content is making a comeback. A new study by CrowdTap, a social media influence platform, shows that people under the age of 30 are reading more books than the over 30 crowd. The study revealed that 88% of millennials had read a book within the last year compared to 79% of those over 30. Even more telling was that 43% of millennials read from a book day. The blogging platform Medium found that the ideal length of a blog was 1,400 to 1,750 words. That’s much higher than the usual industry standard of 500 to 750 words. ProBlogger found evidence of that as well. They found that its longer posts – some as long as 7,600 words – performed better than shorter blog posts. eMarketer found that people did not shy away from watching long-form video content on their devices. Long-form – such as TV shows and movies – performed just as well as short-form video such as news clips and previews. Marketers are constantly trying to find tricks and use data to game the system. 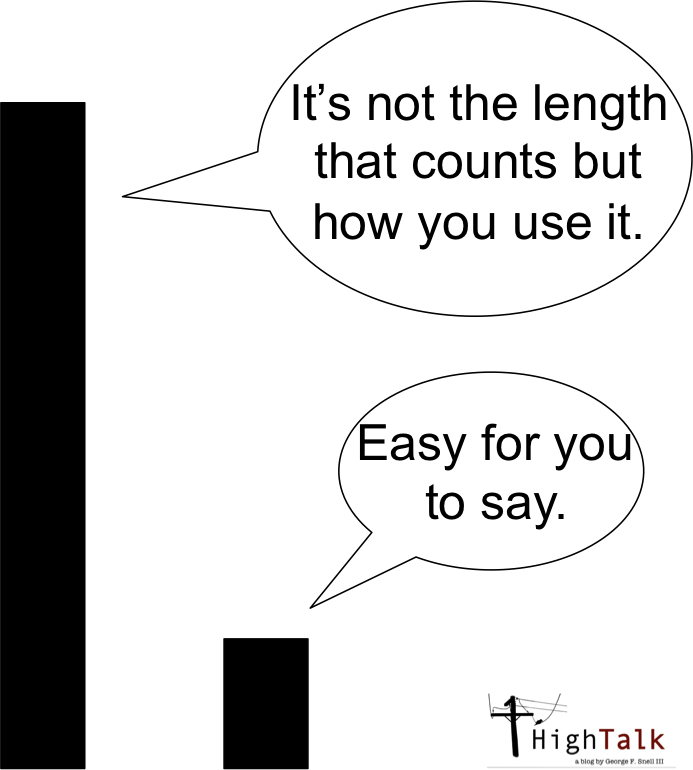 Finding the magic bullet for “length” is one of those tricks they spend endless amounts of resources studying it. But it’s an exercise in hand-wringing. As you can see, length doesn’t really matter. People will read longer form content and watch long-form video. What the research above shows is that you don’t have to be afraid to go long – if that is what it takes to tell your story.